Refer to your best judgement or the FC instructions on jamming targets. The priority displayed here is meant only as a basic guideline for prioritizing targets on a theoretical level, actual field priority may differ depending on the circumstances. 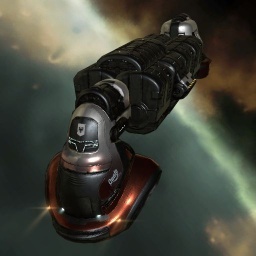 The Miasmos Quafe Ultra Edition was commissioned by the Quafe Corporation as a specialized vessel for the distribution of Quafe throughout the New Eden cluster. To this end, the ship has been made more agile, given a faster warp engine and fitted with an upgraded cargohold that can carry vast amounts of sweet, sweet Quafe. Additionally, the controls have been simplified so that new pilots can be trained quickly and efficiently, allowing for optimal transport labor wages. A later addition under the new "Miasmos" moniker included a small number of sealed vats, but Quafe has demanded that those be accessed solely by corporate representatives, and not by crew nor capsuleer. Estimated training time only for the listed skills based on zero implants and without neural remaps. Base Time to Warp is essentially the time needed for this ship to align and accelerate until it reaches 75% of its top speed and goes to warp. The time displayed here is the base calculated time with no account for any warp related skills, modules or any other effects. This ship is a not simply a cosmetic variant of the Miasmos. When the Odyssey expansion converted the Iteron Mark IV into the modern ore-hauling Miasmos, these special edition ships had their generic cargo hold grandfathered in and not converted to ore-specific holds. Because of this, the special edition Miasmos variants offers a unique combination of large cargo bay and relatively high warp speed. You can put recommended skills here. You can put tactics here. This page was last modified on 31 December 2016, at 20:07. This page has been accessed 12,703 times.